They say that real treasure can be found between the pages of a book. While this may sound like a cliché adage, it holds true. Many of the successful entrepreneurs of today swear by the habit of reading. Every time someone asks a successful businessman what their secrets to success are, they are more than likely to cite reading as one of those secrets. Even Bill Gates is known to read 50 books a year, despite his immensely busy schedule. If you’re a budding entrepreneur, chances are you already have a good reading habit in place. After all, one of the key things about entrepreneurs is their thirst for knowledge and a propensity for trying out new things. However, you may not be reading the right books that can help you grow your business. On the other hand, if you’re not one to read a book, you can always start the habit now. 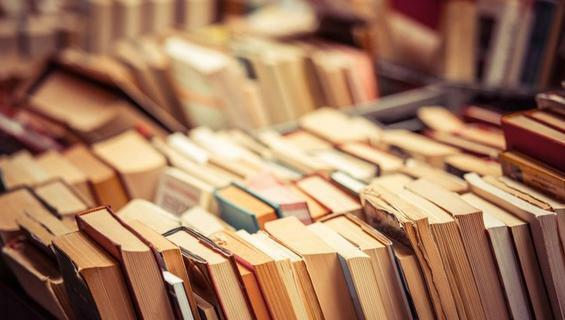 For those who would like to add a habit of reading to boost their skills as an entrepreneur, we have gathered five books ranging from classic self-improvement books to inspirational ones that have been recently published. Written by trusted individuals who have lived the things that they preach, most of them had stood the test of time from all those years that they have stayed in print. These books have been praised by many users all over the globe, from people who have tried to apply their philosophies in everyday life. Here are some books that are sure to help entrepreneurs, from the new and budding, to the confident and accomplished. This is most likely to be a book that you’ve already heard of. At its initial release, 7 Habits immediately took the world by storm. Suddenly, people were noticing that their lives weren’t on the path that they want for themselves and were suddenly given the tools to set them on the right path. This is a great book for those who are yet to foray into the concept of self-improvement. It lays down seven principles that can guide you in different areas of your life. From the personal, interpersonal, and professional aspects of your life, the 7 Habits has a principle to guide you to success. You probably know of Jack Canfield from the series Chicken Soup for the Soul. As a force behind this internal bestselling series, Canfield relays his knowledge in the different aspects of your life, from your relationships to your career. The Success Principles is filled with a hundred philosophies, all of them with entertaining anecdotes featuring people that have applied (or failed to apply) the principles in their own lives. From Warren Buffet to Jack Canfield’s own experience, you will be sure to find empathic anecdotes and sound observation. It’s been said that habits are what makes a man. With the Willpower Instinct, McGonigal shows you how your habits can shape your entire life, dictating your future and success. Unlike most self-improvement books, McGonigal mixes inspiration, science and statistics, and entertaining anecdotes to create a practical and research-backed book. With a strong background in psychology, McGonigal gives you self-improvement suggestions that have been scientifically-proven, making sure that you don’t waste your time. Many self-improvement books cite anecdotes of the rich and successful, such as Warren Buffet and Steve Jobs. In Outliers, Malcolm Gladwell takes this one step further. He looks at successful people whom he calls outliers, from a bigger perspective. Rather than just looking at what one person did to get success in their business, Gladwell takes groups of people, from immigrants to football teams to show how they were able to succeed in their pursuits. Another thing that Outliers does differently from other self-improvement book is how it highlights the external factors that contribute to success. Other than just talking about grit and motivation, Gladwell also considers the smallest details, from our heights to the way we do maths, to the bigger factor, such as biases in the way we perceive the world. We are also given suggestions on how to leverage these factors, and how to even the playing field for everyone. Michael Hyatt is a household name when it comes to productivity. From his well-acclaimed books to other seminars and workshops, Hyatt has helped thousands of people achieve peak productivity. With Your Best Year Ever, Hyatt gives you five simple steps on how to create a great year by crushing their New Year’s Resolution. Despite the name, the ideas contained in Your Best Year Ever can be applied during any time of your life, and not just before the start of a new year. This book creates a simple approach to achieving goals, no matter what time of the year it is. Other than just achieving goals, Hyatt also gives you techniques in other aspects of goal-setting, such as how to create goals that you are more likely to achieve, what to do when you feel stuck with your goals, and how to stop yourself from quitting in the middle of pursuing them. Of course, there are many other books that can help you in your journey to success in your business. As we all live different lives surrounded by different circumstances, different books can help us in different ways. However, reading often and widely is bound to help you achieve success, as long as you remain critical of the things you read, and work towards what works for you and your life.